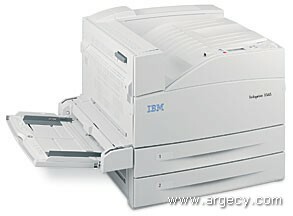 Looking for IBM Infoprint 1585 Parts? The IBM 4539 Infoprint 1585 monochrome laser printer supports wide format printing and optional two-sided printing. It prints 50 pages per minute (PPM)(1) on letter/A4 size sheets, 28 PPM(1) on 11x17 inch sheets, and has a quick first-page-out time as fast as 7 seconds. This printer's extensive input and output options enable scalable solutions with reduced costs and increased productivity. The IBM 4539 Infoprint 1585 monochrome laser printer Model N01 has a powerful 625 MHz processor with 256MB of standard memory. The Infoprint 1585 monochrome printer comes in a network model only. The printer comes standard with 256 MB of memory, a 10/100BaseTX Ethernet port, two 500-sheet drawers, and a 100-sheet multi-purpose feeder. 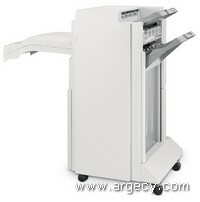 Standard input capacity is 1,100 sheets and standard output capacity is 500 sheets. The 1585 has a maximum input capacity of 5,100 sheets and a maximum output capacity of 3,800 sheets. Printing complex jobs is made easier with the powerful 625 MHz processor, 256MB of standard memory, and an optional hard-drive upgrade. Produce great-looking documents with industry-leading print quality and achieve professional results with 2400IQ print resolution and true 1200 by 1200 dpi at full speed. The Infoprint 1585 supports a variety of media types and sizes for user flexibility so you can produce complex documents in-house, to save time and cut costs. Paper handling options - such as duplex, high-capacity input, and a finisher - can handle a wide variety of input and output needs. Standard offset stacking capabilities allow for print job separation, and an optional high-capacity finisher on the Infoprint 1585 allows you to take advantage of multi-position stapling and hole punching for optimal productivity. The operator panel is a four-line 160x64 APA (all points addressable) backlit gray scale display, supporting four lines with 20 characters per line. This provides easy navigation and usability is improved with simple to use, large, bold icons on the buttons. Reliability and serviceability are enhanced with "show me" screens and "tell me more" screens. The Infoprint 1585 can adapt easily to existing infrastructures with the optional 802.11 Wireless feature. This printer will use the optional wireless feature and reduce installation cost by avoiding the expense of new Ethernet cabling. Add these printers to handle peak workloads, without waiting for IT to reconfigure cables. Preserve architecture or work around areas that are difficult or impossible to cable. Print PDF documents quickly and easily. Once a flash memory device (thumb drive) is inserted in the front of the printer, a list of PDF files and directories are displayed. Navigational arrows are used to traverse the list/directory tree. The user can easily select the file, choose the number of copies to be printed, and submit the file for printing. The files are read and printed - no writing to the printer. The Infoprint 1585 is provided with printer management utilities. MarkVision Professional is a cross-platform print management solution that enables IT administrators to proactively monitor and manage network devices in an enterprise environment via a web browser. MarkVision Messenger enhances administrators' quality for service and improves end-user productivity and satisfaction by providing real-time notification of printer conditions and facilitates automated responses to these conditions before they become critical and disruptive to user productivity. This printer provides several standard and optional features that improve or enhance the security of the device. Using the latest version of MarkVision Professional, administrators can configure and manage devices by using authenticated and encrypted network communications. Using Confidential Print, a user may assign a PIN to a print job, and have the printer hold that job until the user physically arrives and enters the correct PIN. This will prevent another user from taking the printed output from the output bin. The maximum monthly usage is 300,000 impressions. IBM does not recommend printing to the monthly maximum on a consistent basis. 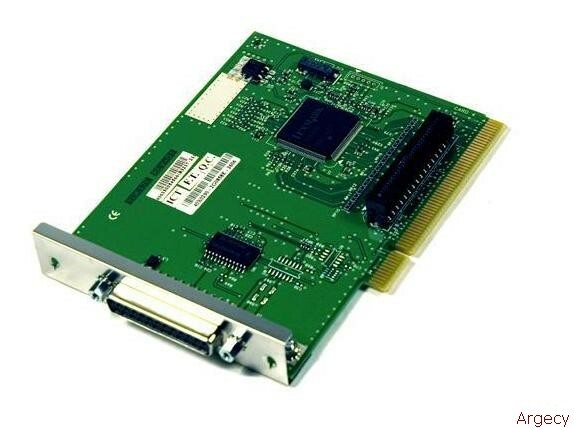 The Infoprint 1585 controller features a 625 MHz Freescale processor. It comes with PostScript 3 and PCL 6 emulation, and a PPDS migration tool. The printer comes with 256 MB of memory soldered onboard and can support a maximum of 768 MB of memory. 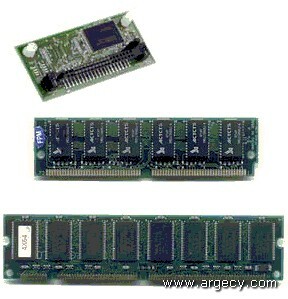 An optional 20+ GB hard disk with adapter feature is available. Optional flash memory up to 64 MB is supported using the optional flash memory cards. Flash memory cards can be installed in either application solution slot but the controller supports only one flash memory card. 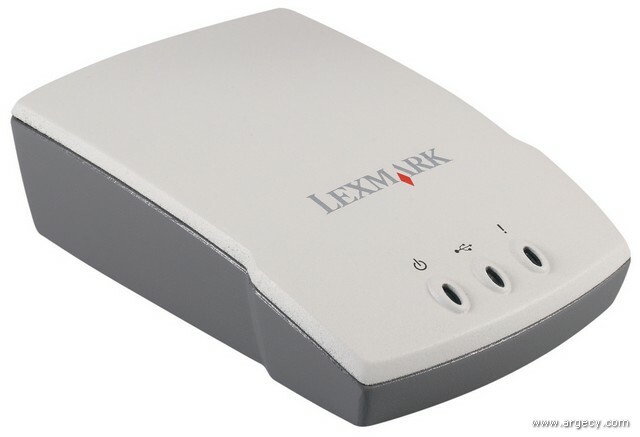 The printer comes with an IEEE 1284 Parallel interface with a type B connector, a Universal Serial Bus (USB), and a 10/100BaseTX interface as standard. The standard Fast Ethernet interface does not take up the network adapter slot. Optional wireless Ethernet is supported through the wired Ethernet port. The Toner Darkness setting offers 10 user-selectable settings to balance print darkness and toner savings. The higher the setting, the darker the print. Within the range of print darkness settings, up to 35% toner savings can be realized. The factory default setting is 8. The Toner Darkness setting is available through the operator panel under the Print Quality menu and also accessible from the print driver. Note: L = long edge feed. Note: 2TM = two 500-sheet input drawers. Note: TTM = one 2,000-sheet dual input. Tray 3 (2x500 Option) 7.7 sec. Tray 3 (2000-sheet Dual Input) 8.0 sec. Tray 4 (2x500 Option) 8.0 sec. Tray 4 (2000-sheet Dual Input) 8.8 sec. High Capacity Feeder 7.0 sec. Note: (2) Time to first print is defined as the time when the print engine receives the start command from the printer controller to when the trailing edge of the first sheet exits the printer's exit feed rollers into the output bin. All measurements are with letter size paper, long edge feed (LEF), ready mode. The operator panel is a four-line 160 x 64 APA (all points addressable) backlit gray scale display, supporting four lines with 20 characters per line. This provides easy navigation and usability is improved with simple to use, large, bold icons on the buttons. Reliability and serviceability are enhanced with "show me" screens and "tell me more" screens. The Infoprint 1585 printable area is limited to within 4.0 mm (0.16 in.) of top, bottom, left or right edges of the media. Any information placed outside this specified printable area will not print. The printer code includes special Optra S font compatibility modes in both the PostScript and PCL emulations for backward compatibility. The printer comes standard with two 500-sheet paper drawers and a 100-sheet multi-purpose feeder (MPF). One 500-sheet output bin is standard. See table below for standard and maximum media capacities. Automatic media size sensing capabilities are noted in the table above. Unlike prior A3 printers, this printer can support both SEF and LEF on letter and A4 media. Note: Auto Size Sensing for A5 and B5 require the "SIZE SENSING" setting be changed in Printer Configuration Menu. The user must set auto size sensing for A5 or Statement and B5 or Executive. Note: For Universal media the dimensions must be provided by the print driver. Transparencies specifically designed for xerographic copy machines or laser printers may be used with the Infoprint 1585. The internal network adapters support and work in the Infoprint 1585 printer. The remote operator panel is available from internal print servers or external print servers. The Infoprint 1585 contains several standard and optional features and functions that improve or enhance the security of the device. Using the latest version of MarkVision Professional, administrators can configure and manage the Infoprint 1585 securely by using authenticated and encrypted network communications. The Infoprint 1585 contains support for several network protocols that increase the security of network communications. When a hard disk is installed in the printer, the user has the option of locking the print device with a user defined PIN and preventing it from printing submitted jobs. All submitted print jobs will be stored on the internal hard drive until the printer is unlocked with the correct PIN. This feature will be especially useful in preventing printing after normal business hours. This feature is set up through the printer's embedded web server and is enabled from the printer's operator panel. 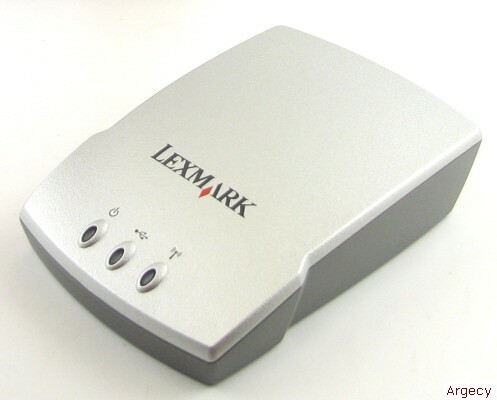 It is not supported through MarkVision Professional. NPRU will not support the Infoprint 1585. This utility will not support the Infoprint 1585. Infoprint 1585 is compatible with applications running under the following operating systems for either local or network connections: For information about USB connections, see Local Connections. The software applications that operate with most Apple LaserWriter printers will generally operate with the Infoprint 1585. The Macintosh 128, 512, and 512e Computers are not supported. The Infoprint 1585 printers are supported with device types for SAP. The minimum size print job which will support stapling is 2 sheets. A job which requests stapling and is only one sheet will not be stapled. The maximum size job that can be stapled is 50 sheets of 17 lb. to 20 lb. media. There are four staple positions available: Front Corner, Dual, Rear Corner and Rear Straight. Offset stacking of 15 mm (0.6 in.) can be set in the printer for job or copy boundary. When multiple copies are selected in certain applications or operating environments, the document is sent multiple times to the printer and would be treated as separate print jobs. This finisher is the same as the finisher described above except it supports 2/4 hole punching. The Infoprint 1585 optional Duplex is customer setup and attaches to the left side of the printer. The Duplex feature does not support Cardstock, Transparency, Labels, or Envelopes. Auto size sensing for B5 and Executive requires that the "SIZE SENSING" setting be change in Printer Configuration Menu. The Infoprint 1585 optional 2 x 500 Sheet Drawer provides two 500 sheet (20lb/75g/m2, A4/Letter, plain paper) drawer that fit below the print engine. 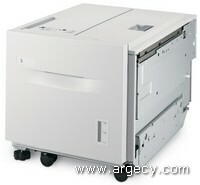 The Infoprint 1585 optional Dual Input provides two drawers, side by side. One drawer has a 1,200 sheets (20lb/75g/m2, A4/Letter, plain paper) capacity and the other drawer is 800 sheets capacity. The Infoprint 1585 has one slot for memory DIMMs and two slots for flash memory cards and application solution cards. Only one flash memory card is allowed. 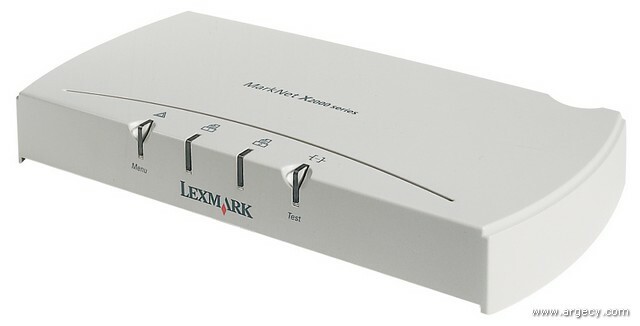 In addition to the standard USB port and standard parallel port, each Infoprint 1585 model has one slot for an optional hard disk, optional internal print servers, or optional local connections. Host to parallel connectivity allows a host computer to connect with the printer's built-in parallel interface (36-pin Centronics). Host to USB capabilities allow a host computer with a USB interface to connect with the printer@s built-in USB interface ("B" connector). Host to serial permits RS-232 communications between a host computer and the printer via an optional serial interface (DB-25 interface). This method requires an optional internal RS-232C Serial Adapter or External Serial Adapter. USB Direct interface offers the user an ability to perform USB Direct printing using a USB flash memory device ("A" connector). See compatibility statement below. Direct USB printing allows individuals to print PDF files directly to the printer using an approved USB flash memory device. Through the printers USB Direct interface located on the printer's operator panel, a user can simply insert the USB flash memory device, select the appropriate file and choose to print the file on this specific printer. P/N 75P7028 for Infoprint 1585. 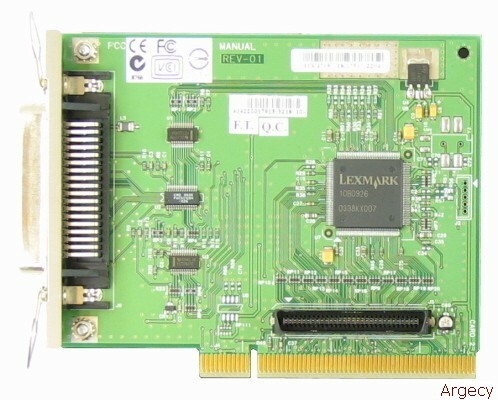 Network cards plug into the one internal interface adapter slot. Only one card is allowed per network protocol. The printer can have the internal Ethernet network adapters installed but it will disable the onboard Ethernet.